Dabber, selfie-taker and occasional superhero. Luke Cage's second season is available to stream now on Netflix, and you can read our own verdict on the season here. The latest batch of thirteen episodes is an undeniably mixed bag, suffering through most of the usual Marvel Netflix issues - bad pacing, too many episodes, horrendous subplots - but it also does strike occasional brilliance thanks to a few smart choices and some fantastic acting. Though there are long stretches of the season that were legitimately quite boring, season two still wasn't lacking for bizarre, hilarious and horrifying moments, either for better or for worse. 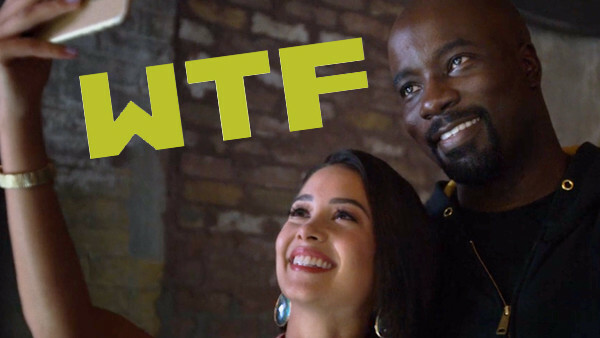 There were embarrassing attempts at comedy, insane death scenes, shocking surprises and even some unexpected meta commentary on the show itself, all adding up to ensure this wasn't just a bland rehash of Luke Cage's first season.